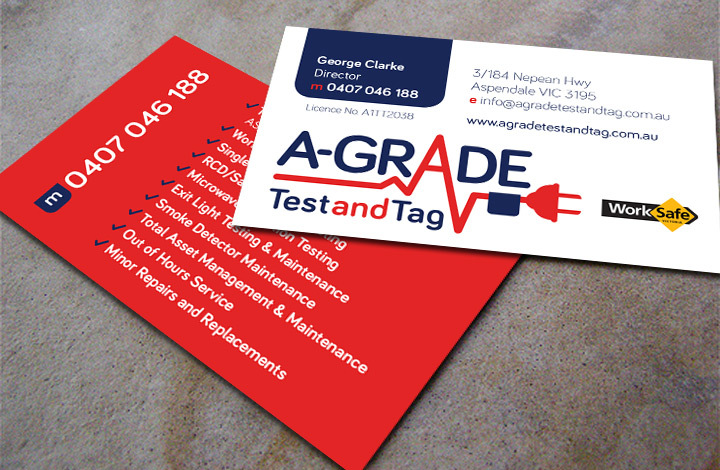 Brand Strategy & Development, Corporate Identity, Stationery Design, Brochure Design, Online Advertising, Website Development, Google Apps Integration, SEO. 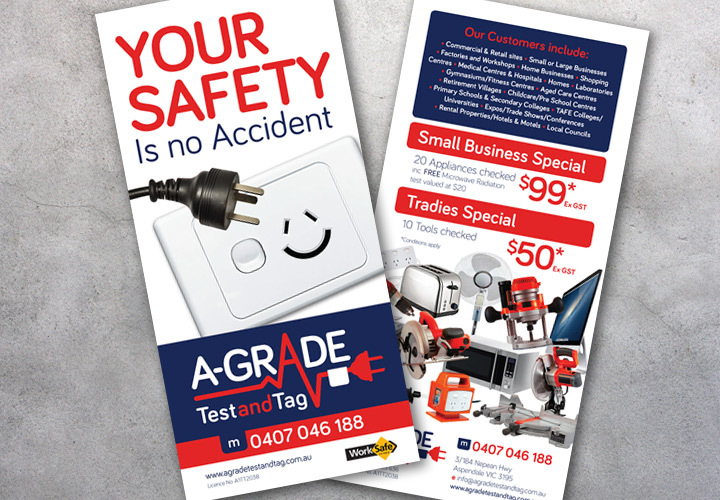 A Safe workplace is paramount - protect your greatest assets! 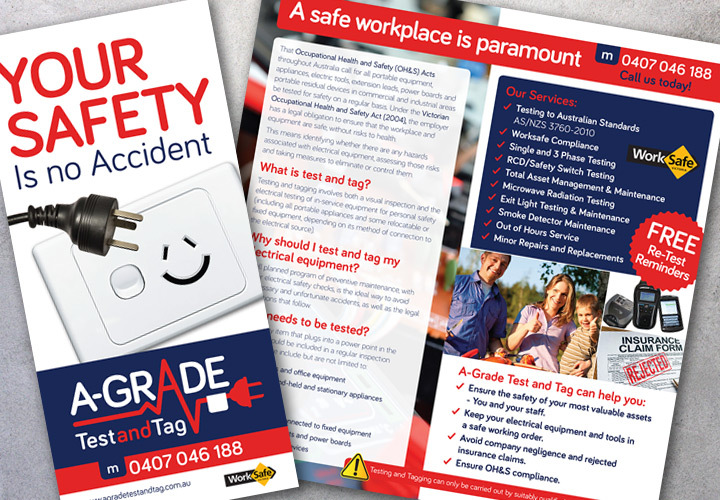 Under the Victorian Occupational Health and Safety Act (2004), the employer has a legal obligation to ensure that the workplace and equipment are safe, without risks to health. 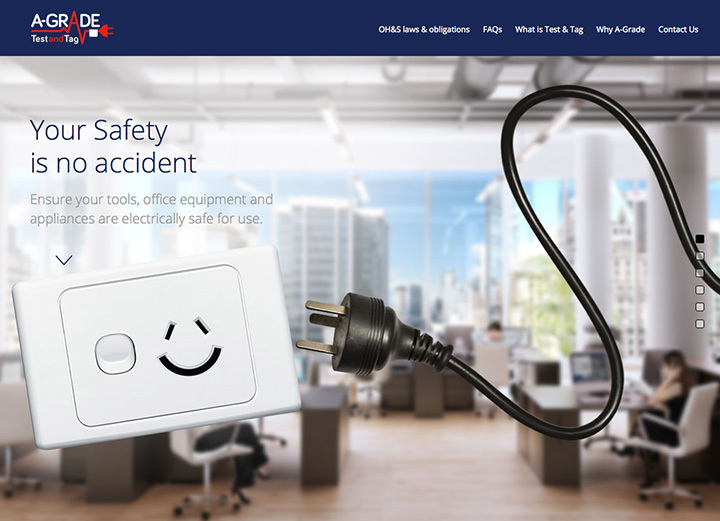 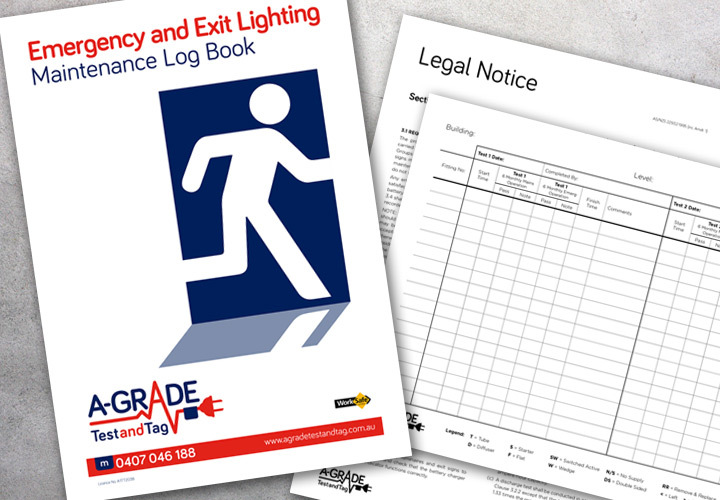 This means identifying whether there are any hazards associated with electrical equipment, assessing those risks and taking measures to eliminate or control them. 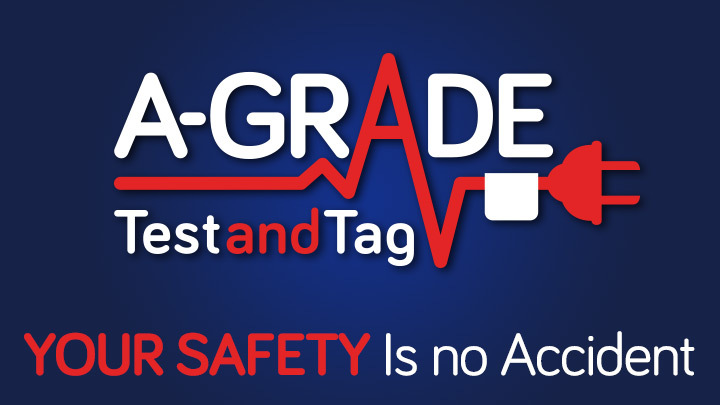 A-Grade Test and Tag provides the Commerical, Residential and Industrial sectors with the piece of mind to ensure their operations are safe and comply within these laws.